Creative Master Northcord Limited is pleased to announce the release of UKBUS 5020, the second model of the newly developed 3-door Mercedes-Benz Citaro casting introduced during 2008. 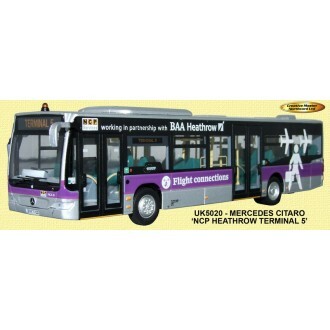 The second livery to be carried on the brand new model is NCP Services which, in partnership with BAA, operate a large fleet of Mercedes-Benz Citaros, Europe’s most environmentally friendly buses, to facilitate the transfer of connecting passengers among the 5 terminals at Heathrow Airport, the world’s busiest international airport. 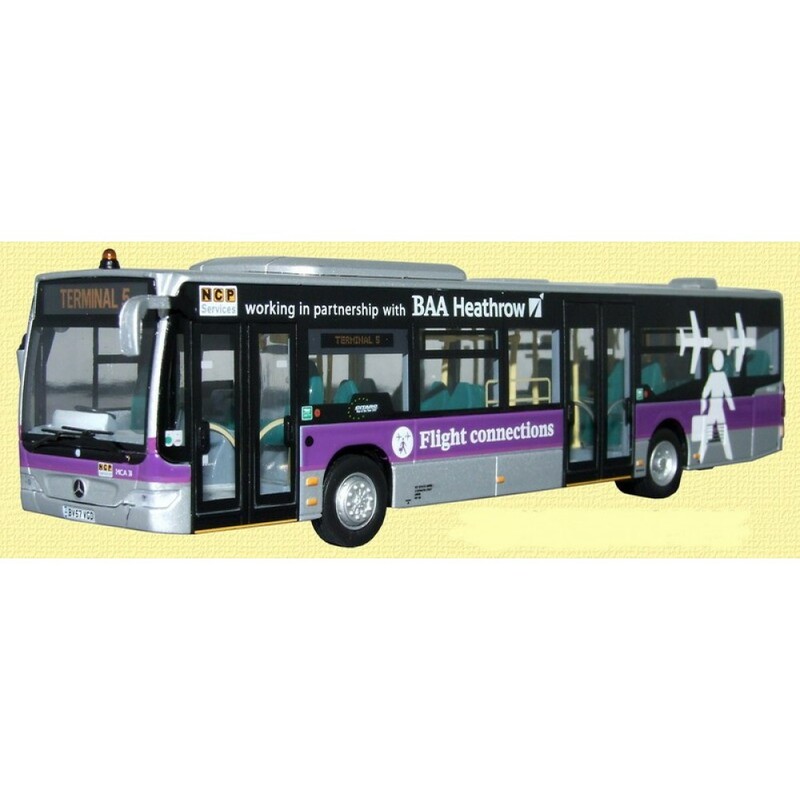 The model is a one-piece casting whose clean lines accentuate the square-mounted, double-glazed windows and the livery application on which all logos and lettering are clearly legible. Another main feature on the model is its extensive portrayal of handrails. 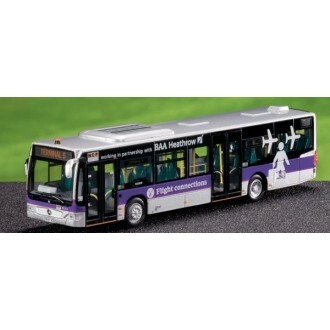 The headlight / indicator units at the front and indicator / tail light units at the rear are made of individual components to look more realistic. 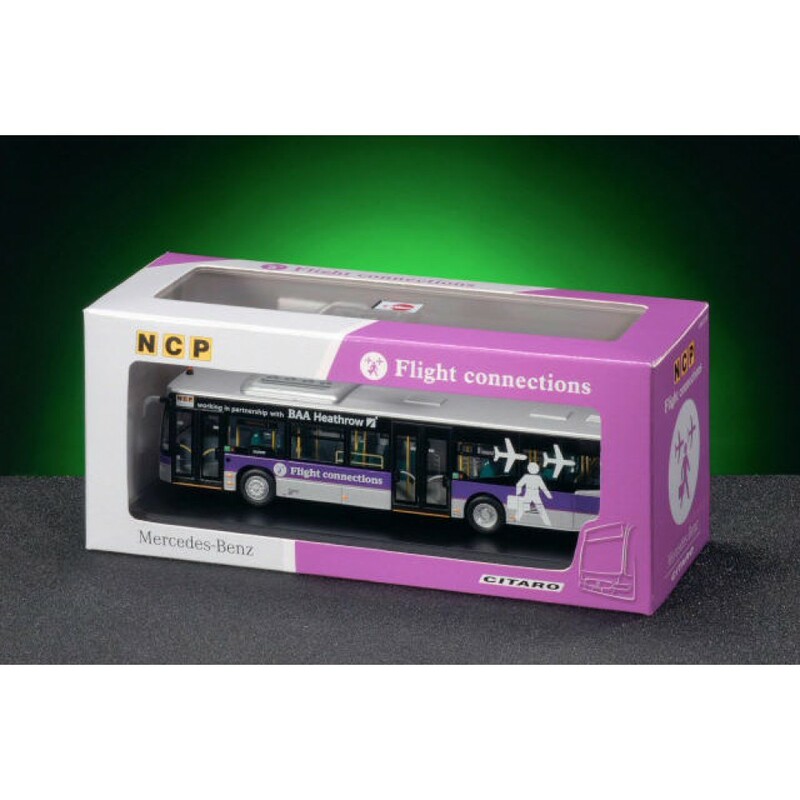 This model has an approximate length of 16cm and is approximately 3.5cm tall and 3.5cm wide.